Time Frame 30min, H1, H4, Daily. There must be 6/8 signals of sell or buy on the time frame between the current and higher. Example if I want to trade on the time frame of 30 minutes I have to have 6/8 signals of buy or sell on the time frame of 30 minutes and 60 minutes. When I have these signals (sell or buy 6/8), I insert order. profit target 18-23 pips depends by currecy pair or exit on the pivot point levels. Place intitial stop loss 25 pips after 18 pips in gain move stop loss at + 10 pips. profit target 22-30 pips depends by currecy pair or exit on the pivot point levels. Place intitial stop loss 28 pips after 18 pips in gain move stop loss at + 10 pips. profit target 30-350 pips depends by currecy pair . Place intitial stop loss 30 pips after 25 pips in gain move stop loss at + 15 pips. There must be 3/4 signals of sell or buy. 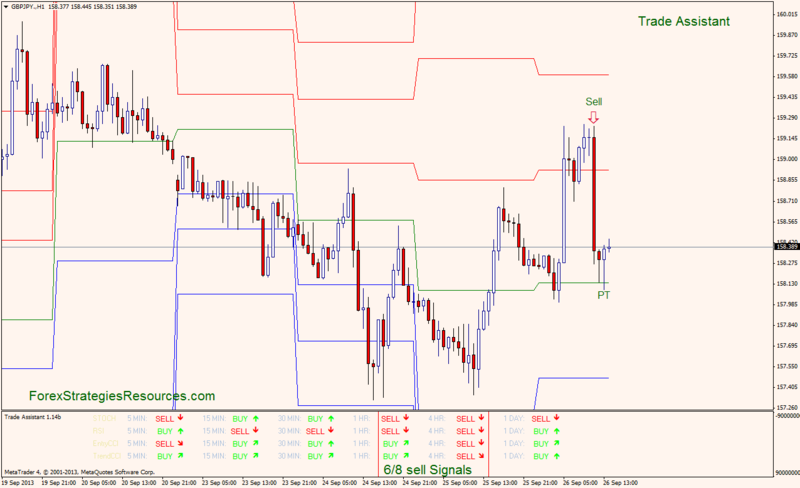 When I have these signals (sell or buy 6/8), I enter the order the opening of the forex market (00:00 GMT). Profit Target 50 pips, Initial Stop loss 40 pips. After 35 pips in gain move stop loss at +20 pips or at entry price. 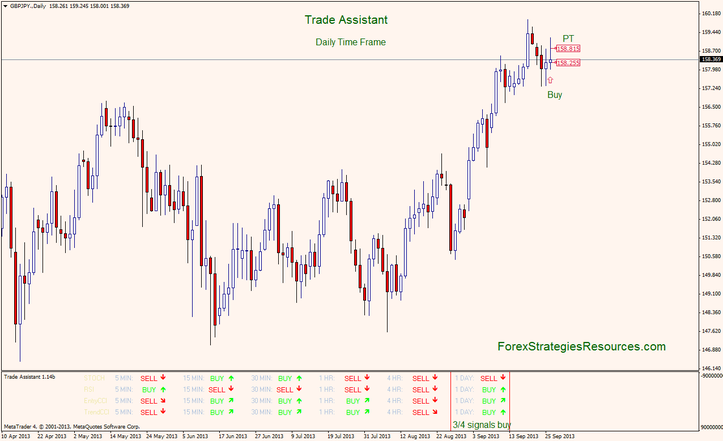 Trade assistant: Tempale and indicators. Trade assistant; Tempale and indicators.